With a forecasted low of 2 degrees in Pittsburgh Sunday, the Jacksonville Jaguars won’t have the luxury of playing in the warm Florida sun when they play the Steelers at Heinz Field in the AFC divisional playoffs. The Steelers finished the regular season with a 13-3 record, which gave them the AFC North division title and tied them with the New England Patriots for the best record in the conference. The Jaguars come into the game as the AFC South champions at 10-6 and are the No. 4 seed in the conference. They won their playoff game last weekend at home against the Buffalo Bills, 10-3, which was their first playoff win since their last postseason appearance in 2007. The last time the Jaguars made the playoffs, they beat the Steelers at Heinz Field, 31-29. They also became the first and only team to beat the Steelers twice at home in one season, as they beat the Steelers in the 2007 regular season as well. Jacksonville will be looking to accomplish that same feat Sunday afternoon, since they already beat Pittsburgh at Heinz Field, 30-9, back in week five. In that game, Steelers quarterback Ben Roethlisberger had one of the worst games of his career, throwing five interceptions, including two that the Jaguars returned for touchdowns. Pittsburgh will be gearing up to get revenge with the recent memory of that embarrassing regular season loss. Roethlisberger especially will be looking to make up for his performance in the week five debacle. Roethlisberger has turned it around since then, helping lead the Steelers to a 10-1 record the rest of the regular season. He has thrown 22 touchdowns to seven interceptions since the Jacksonville loss. Over the last seven weeks of the season, Roethlisberger threw 16 touchdowns and just four interceptions while averaging 325.5 yards per game. Although Roethlisberger has played better, he should still be wary of a dominant Jacksonville defense. Jacksonville ranks second in total defense and sacks, allowing only 286.1 yards per game and racking up 55 sacks on the season. The Jaguars also boast the best passing defense in the NFL, holding opponents to 169.9 yards per game and leading the NFL with 21 interceptions. Cornerback Jalen Ramsey and defensive lineman Calais Campbell have been the main factors on Jacksonville’s terrorizing defense this season. Ramsey ranked 10th in the NFL, with 17 passes defended and tied for 12th in the league with four interceptions this season. Campbell had the most sacks in the AFC this season with 14.5 sacks — a Jaguar record. Their performances this year led them both to make their first All-Pro team, with Ramsey making it in just his second season in the NFL. 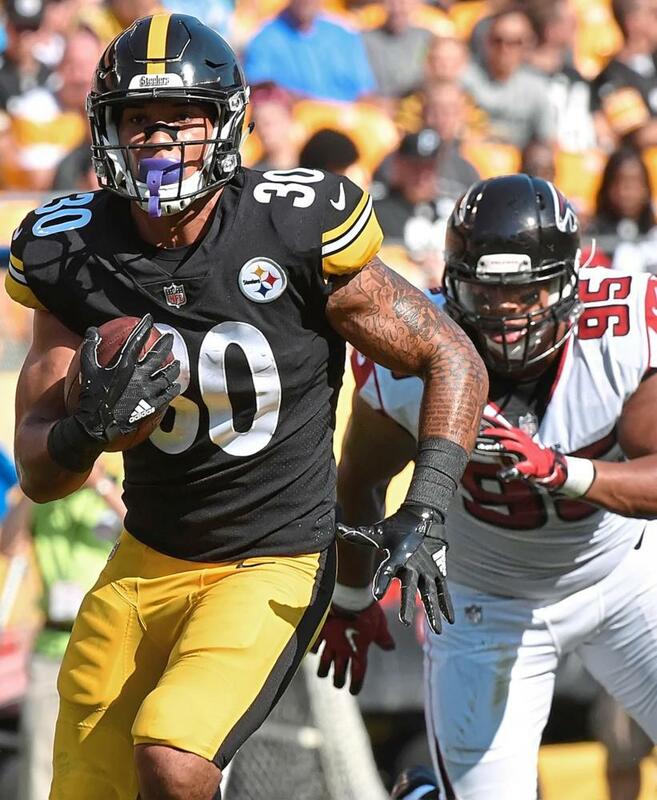 Against the Steelers in week five, Ramsey played a huge role, intercepting Roethlisberger once and getting seven tackles, while Campbell had four tackles and four quarterback hits. To combat the fearsome Jacksonville pass defense, the Steelers will need to lean on first team All-Pro running back Le’Veon Bell. In the regular season game with Jacksonville, Bell was only able to gain 47 yards rushing, while all-pro receiver Antonio Brown had a big game, making 10 catches for 157 yards. Sunday will be Brown’s first game back since suffering a leg injury in week 15 against the Patriots. With Brown likely limited by his injury, establishing the run will be key for the Steelers Sunday. If Pittsburgh can get Bell going, the passing game will open up for Roethlisberger to carry the momentum he has gained over the last two months into the playoffs. The biggest weak point of either team is Jaguars quarterback Blake Bortles. Although Bortles had the best regular season in his career, in which he threw only 13 interceptions and completed 60 percent of his passes, he has played badly in his last two games of the season. Against San Francisco and Tennessee, Bortles threw a combined two touchdowns and five interceptions. Jacksonville lost both games. Bortles comes into this game after another mediocre performance against Buffalo, in which he ran for 88 yards and only passed for 87. Even the last time out against the Steelers, Bortles only had 95 yards passing, nine yards rushing and threw an interception. If the Steelers’ defense can pressure him, Bortles will continue to struggle and it will likely cost his team the game. Bortles’ ineffectiveness these past few games will likely continue Sunday, especially with the frigid conditions. As long as the Steelers can establish the run and put up some touchdowns on offense, they should be able to come away with the win and advance to the AFC Championship.